The State House in New Haven will host three Sunday concerts of improvised music on January 27th, March 10th and April 28th; all concerts begin at 5pm and end at 8pm. The series is called MULTIPLEX. 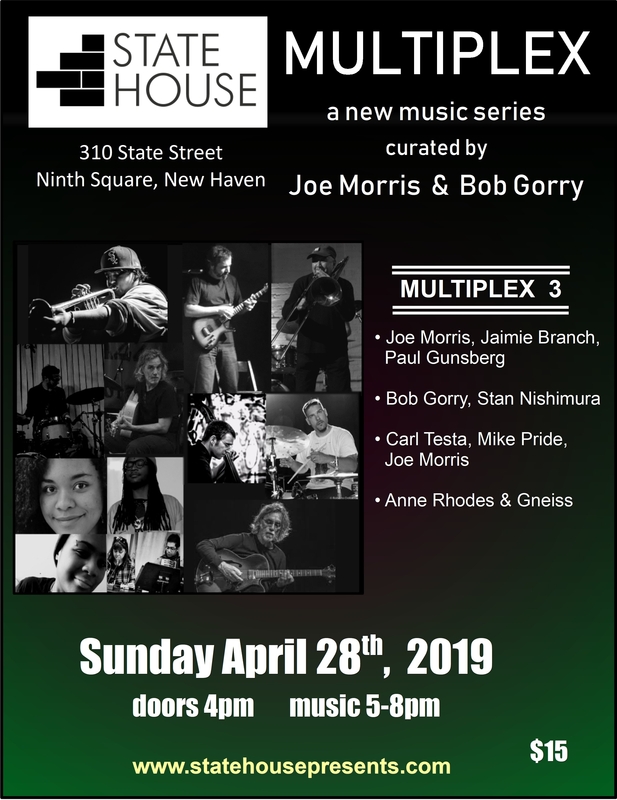 Each concert in the series will feature 4 or more groups or solo performers chosen from the extraordinary pool of improvising musicians here in New Haven, in Connecticut, in New York, and in New England. MULTIPLEX is curated by Joe Morris and Bob Gorry who will also perform on each of the three scheduled concerts.